New Patients Welcome! Emergency appointment available on the same day! If you want to book a routine dental check-up or experiencing tooth or gum pain, Woden Dental Centre can help. Woden Dental Centre offers a variety of cosmetic dentistry services including Teeth Whitening and Cosmetic Veneers to improve the appearance of your smile. We’re committed to providing safe and effective dental care for all our patients, and take the matter of infection control very seriously. 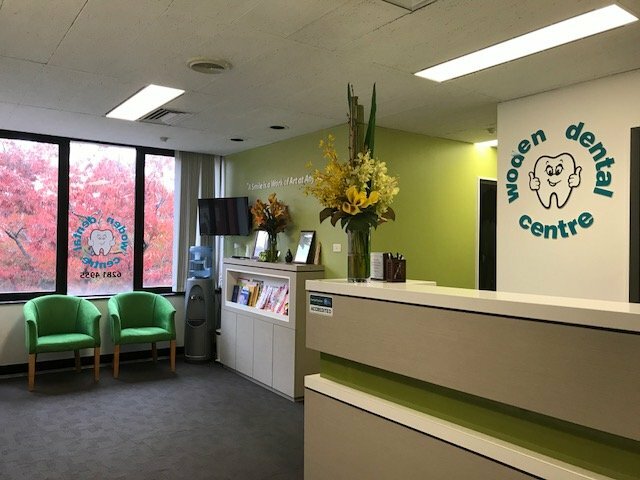 Woden Dental Centre has been helping people for 45 years – improving smiles, relieving pain and discomfort, and providing treatment and management of dental and mouth concerns. 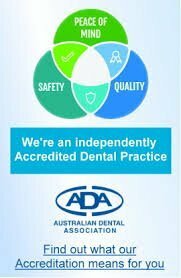 We are proud that our dental centre has been trusted by so many patients in the Woden and Canberra areas over so many years. We continue to upgrade so as to maintain the high standards of care. You will find, like our patients before you, that we are friendly and interested in your particular concerns and needs. Here at our dental centre we welcome patients of all ages. We always put our patients first and our experienced dentists can handle all types of dental issues. So, whether you’re suffering from toothache, gum problems, or need crowns or bridges or dental implants, we can help. We strongly believe that dental wellness is an inseparable part of general wellness. We take time to give our patients the care and attention that they need. We look forward to providing you with our caring oral dental care from now and in the future.